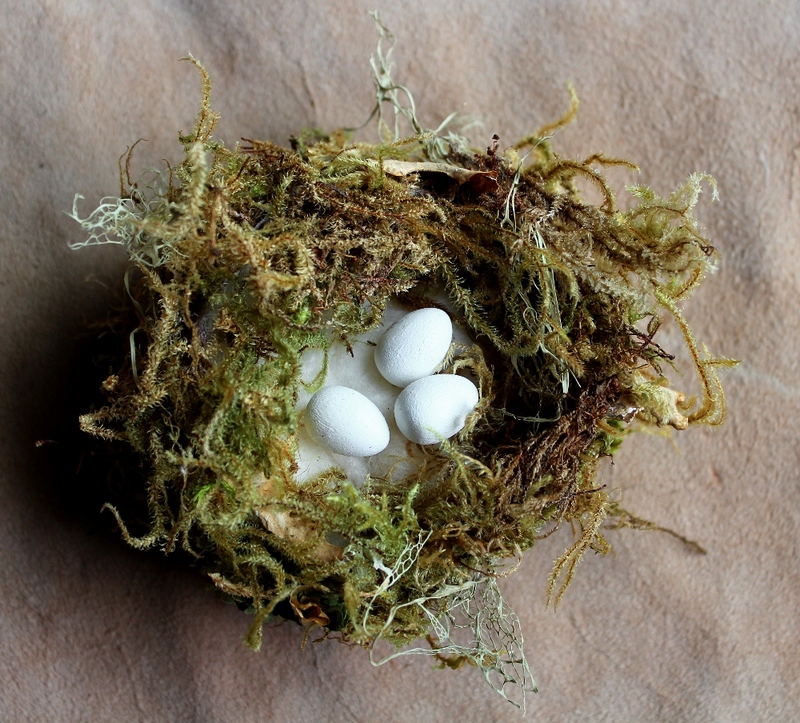 Replica Anna’s Hummingbird Nest and Eggs. 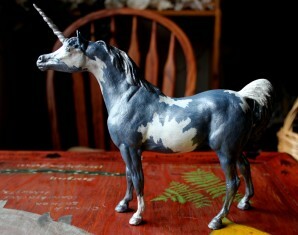 One of the challenges of working with natural items in my art is legal restrictions. 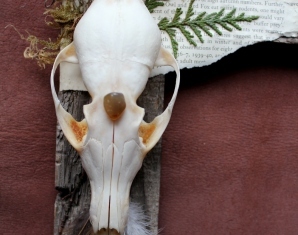 As much as I would love to be able to use molted feathers from the many and varied wild birds we have here in Oregon, almost all of them are protected by the Migratory Bird Treaty Act. 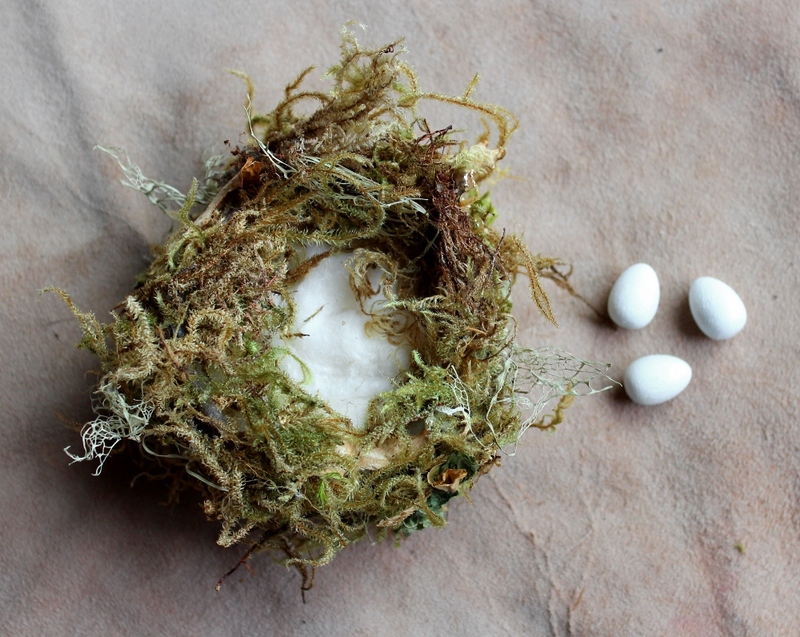 To represent these species in the cabinets of curiosity I create, I started making life-sized replica eggs, with and without nests. I had requests to make some replicas available on their own, and so one of my projects over the weekend was to make a small sampling so I could see how they do as stand-alone items. 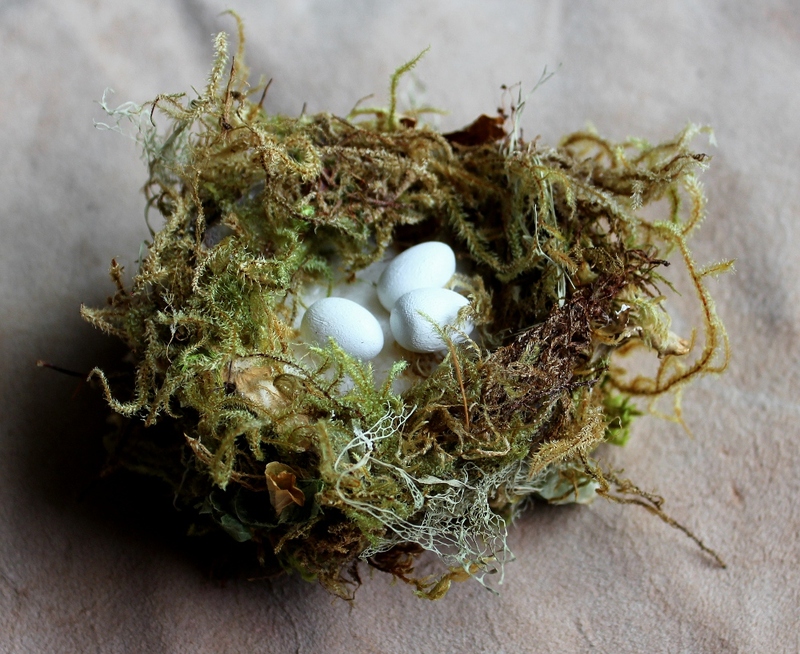 The Anna’s hummingbird egg replicas were pretty unimpressive on their own, being tiny, and pure white. So I decided to make them a nest! 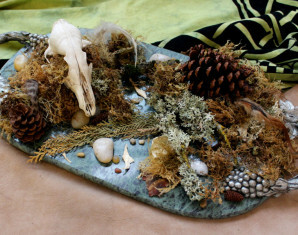 I started with a base made from the bottom of a plastic bottle, and built up the outside with yarn, lichens and moss, while lining the inside with cotton. 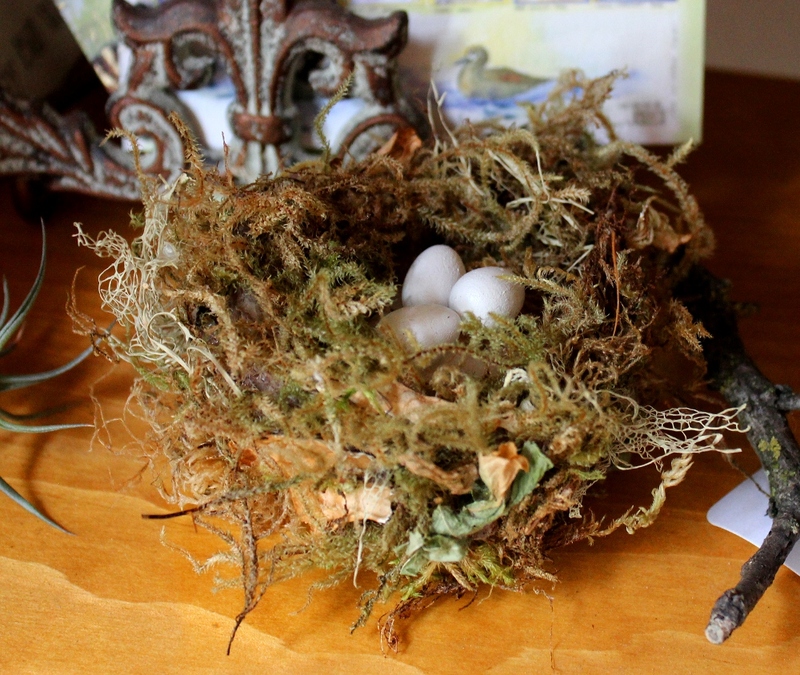 I’m not a bird, so my work isn’t quite as perfect, but it holds the eggs nicely on a shelf.